Is your Blue Punch™ Key Machine not cutting keys as accurately as it used to? Has your cutter become dull, slow or difficult to use? Did you lose or misplace your code bar? Does your machine need to be adjusted for spacing and depth or converted to another manufacturer’s keyway? If your BLUE PUNCH™ machine is experiencing any of these issues we can fix it up for you! 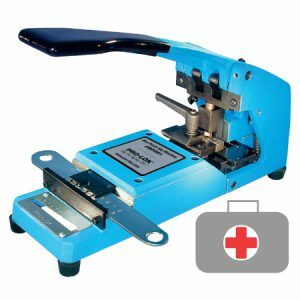 Let us Renew, Reset and Restore your Blue Punch™ Key Machine! Call PRO-LOK for factory service regardless of your machine’s age or manufacturer. We can restore your machine to factory specifications, convert it from one keyway style to another or completely rebuild it with a brand new engine.